Germany is known for innovation and research. Germany is finding the innovative solutions through its products and services helping people in the day to day life. The Germany's strong industrial foundation has always consistent and faced the global challenges in each generation. To remain robust and competitive in the highly competitive, Germany industry has created steady jobs for the people. To meet the challenges of the growing demand, it has also started inviting skilled professionals from different parts of the world. 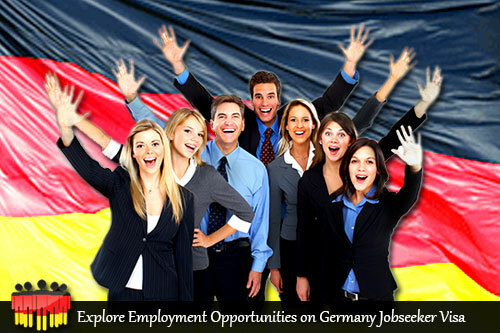 Germany has also joined the European Union’s directive to attract highly qualified professionals into the country. The Immigration rules are relaxed for highly skilled professionals from the third world countries. This visa was introduced to meet the long term economic immigration needs of the European countries. Apart from the experienced immigration programs, Germany has also eased immigration programs to the students. The attempt of the developed countries is retain the students who enter the country with the STEM programs. Students willing to pursue higher education in Germany can easily enter through the STEM programs. The demand for higher education in research studies is very higher and students must get through the immigration procedures to enter Germany. Germany offers education in both English and German; it is the home for world class universities and the learning center for many students. Germany’s strong economic system and steady growth, people from different corners of the world enter Germany with intent to settle. Germany also attracts the people with its great beauty and Indian students entering the Germany to seek higher education is increasing annually, because of the numerous visa programs offered by the country.